Welcome to my tour stop on the Summer on the Short Bus blog Tour! 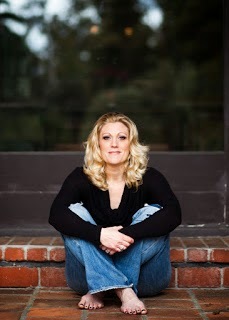 After reading the interview with Bethany, be sure to check out the giveaway! Don't worry, the clowns won't get you. Except for maybe Rusty in the corner. I'd keep an eye on him if I were you. He can be . . . unpredictable. However, I'm excited to have you here with us today! How would you describe the story of Summer on the Short Bus to those who haven’t heard of it yet? It’s the story of a bitchy, self-absorbed girl who gets smacked with a reality check the summer before her senior year of high school. It’s irreverent, sarcastic, potentially offensive, and a whole lot of fun. Well, if this interview is any indication of the fun we can expect from Summer on the Short Bus, you can definitely count me in! What is the hardest part of the writing process? Trusting my gut and tuning out my inner editor. Eeeps! Those scenes that leave you giggling/crying/cringing/swooning [insert verb of choice] over your keyboard because you’ve managed to convey the exact feeling you were hoping to. Those are the days when you go to bed happy because you know you’ve done something amazing. Trust me, those are the best scenes to read, too! If you could spend a day with one your characters, who would you choose, where would you go, and what would you talk about? I would totally hang out with Claire, one of the campers from SUMMER ON THE SHORT BUS. She is absolutely hysterical and doesn’t care what anybody thinks about her--my kind of girl! We’d probably go to the mall and people watch (one of my favorite past times) while we snacked on Wetzel’s Pretzels and the free samples from See’s chocolates. Do you recall any book bloopers? Edits that slipped through and made you go OMG! Editor: I’m not sure that Cricket would use a word like “dump”. Does it seem too slang for her? Editor: I changed my mind. That doesn’t look right. Go back to taking a dump. I can’t believe I get paid to have conversations like this. That's definitely not an everyday conversation! What is the most awkward moment/question you have had since becoming an author? Oh, man…I found this more funny than awkward, but I was letting a friend know about my book deal (hadn’t seen her in a while) and she emailed back with, “Oh my God! Congratulations! I expect an autographed copy (hard cover, not paperback, if you please).” My book is only going paperback so, my response back to her was a lot of fun--for me, anyway. Ha! I'm sure she'll be just as thrilled with a signed paperback :) What is it like seeing your book on Amazon, Barnes & Noble, Goodreads, etc? Two parts exciting, one part terrifying. Having a book published is a huge accomplishment and something that I’m very proud of, but it’s also one of the scariest feelings in the world. Until publication day (or when the ARCs go out) you can still keep a watchful eye on your baby, but once it’s out the world it’s open season on all your hard work. 1) If I could live in any TV/movie/book universe, it would be . . . In a John Hughes film. Preferably one with Jake Ryan, but I won’t be picky. 2) One time I spontaneously . . . Made beeping noises in the middle of church. I was about seven at the time and digital watches were new on the scene. The preacher (my dad!) was droning on and on, so I thought I’d entertain myself and the other church goers by pretending I was someone’s alarm going off. Much to my surprise, a “beep, beep, beep” by a seven year-old didn’t parrot the sound of the watch the way I hoped it would. That was the most painful stop-acting-up-in-church-you-dumb-kid pinch to the arm my mom has ever given me. 3) I'm addicted to . . . Masterpiece Theatre, blackberries and Imagine Dragons. 4) If I could tell the world just one thing, it'd be . . . Stop taking everything so seriously. 5) If Summer on the Short Bus had a theme song it would be . . . LET IT GO. Not because it works for the book, but because there’s escaping that freaking song right now! 6) The last book I bought was . . . DIVERGENT. Or…wait, maybe SPLAT THE CAT GOES TO BED. I honestly can’t remember--my children have stolen my memory and replaced it with stretch marks. I have to agree. Let It Go is everywhere. We listen to the radio at work and it was played twice within an hour. TWICE. It really is time to let . . . it . . . go. Anyway, thank you for taking the time to answer some questions, Bethany. You have a great sense of humor and I can't wait to see it come through in your writing. 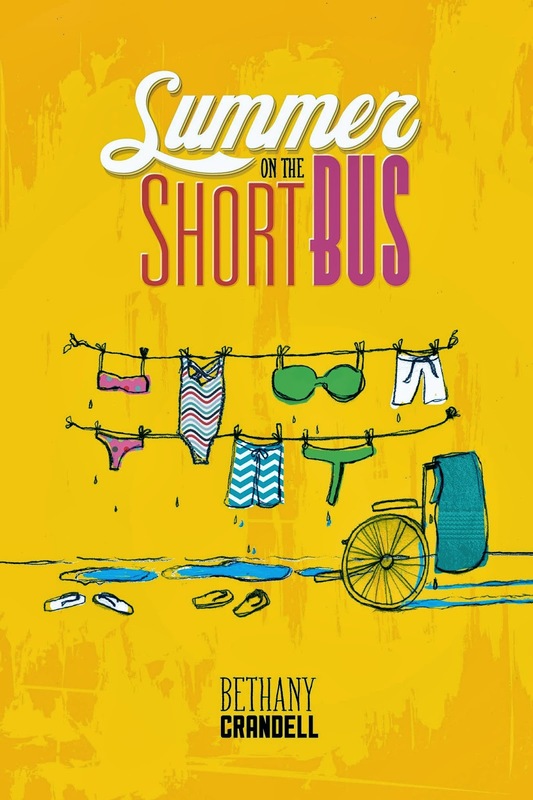 Readers, be sure to enter the giveaway below for your chance to win your own copy of Summer on the Short Bus and some swag! The Survival Kit comes with: A Camp I Can T-shirt (with an awesome logo designed by A.G. Howard), Quinn’s oh-so-sweet cinnamon treats, Cricket’s nostalgic pink peppermints, plus some other tidbits no camper can live without. You’ll also get some Short Bus swag.